A car is the second most expensive asset you’re likely to own. To spend a small percentage of your cars value on security is nothing compared to the agony if your car did get damaged or stolen. We offer a variety of Alarm and Tracking systems to help protect the car from thieves and deal mainly with Clifford and Smartrack. I n our opinion, Clifford are one of the best car alarm manufacturers on the market. This is mainly due to the upgrade-ability of the systems and the reliability of the products. Many vehicles are being stolen after the keys have been taken from the house, to eliminate this Clifford have come up with a system that prevents this and cuts the engine out. This system is called Blackjax and enables the vehicle owner to retrieve the vehicle if it’s stolen with the keys. Please contact the shop for more information on how this system works. For all our alarm systems there are also many accessories that can be added at the same time or a later date. If you want to secure your vehicle from certain types of theft, you can add several sensors such as Glass Break, Tilt & Motion and Proximity Sensors. For those of you that want to warm the engine before setting off a remote engine start module can be added aswell as a Turbo Timer to allow oil to re-circulate. Not only is Clifford an excellent choice of security it also has a range of accessories for convenience. Imagine this: a cold winters morning your cars all frosted up, wouldn’t it be magic if you could start your car from the comfort of your home and get in minutes later when it’s warm and defrosted. Well now you can and it is secure and fail safe. Ask us about Clifford’s Intellistart system which is compatible with many cars. 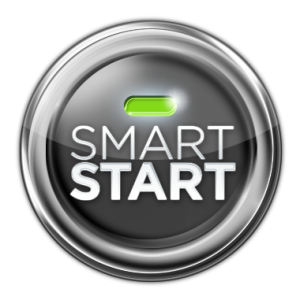 We can tailor any car alarm to suit your needs, even with the new Smartstart Clifford alarm application it gives you the added benefits and features of being able to lock, unlock, engine start/stop and also track your vehicle directly from your smartphone. It is a small price to pay for securing one of the most important things you own. Another important key reminder is that these alarms can be removed and transferred to your next vehicle. There are several options when it comes to vehicle security with Thatcham and Non-Thatcham systems. Thatcham is the governing body which test any car alarms that are requiring insurance approval. They go through a number of stringent policies and tests to ensure that they meet certain criteria and pass investigations. Once issued with a pass number they are then listed on the insurance companys records as being recognized Thatcham approved alarms. What’s the difference between Thatcham Cat 1 and Cat 2? A Cat 1 is a combined alarm and immobilisation system that has passed Thatcham and been approved by Insurance Companies. A Thatcham Cat 2 is just an immobiliser system. We always strive to be the best that we can. We are a Thatcham Recognised Installer (TRI) company and can now give additional certification on all Thatcham approved security systems we supply and install. Having an insurance approved tracking system fitted is a great way of improving the chance of getting your car back. With a tracking device nothing is visible from the outside, it’s a covertly fitted unit and there are no stickers or flashing lights. If your car was stolen or moved without the keys a secure control centre would contact you for authorisation then alert the police and they can then start to track the vehicle. Signals are sent from the car to the control desk frequently and they are open 24/7 and 365 days a year so there’s no escape for the criminals. It works in exactly the same way if your keys were stolen with the car, all you have to do is contact them to let them know the vehicle has been stolen so they can start the search for your vehicle. For added protection against key theft, there is another tracking system which has a remote, or a Key Tag, which you need to have on your person before you get in the vehicle. If you don’t have this, ie your vehicle has been stolen with the keys, the control centre will telephone to ask you to confirm the theft of the vehicle. This is a great addition if the car is stolen in the early hours of the morning when you’re asleep as you would get a phone call waking you up, rather than getting up 7 maybe 8 hours after the vehicle is stolen by which time it could be out of the country. All of our tracking systems have European coverage and are subject to a yearly subscription. We are now officially Thatcham TRI and Cat 5 approved to supply and install Thatcham Cat 5 tracking systems. The major difference between Cat 5 and Cat 6 tracking systems is Police Response. Once notified that a theft has been committed, the Police have the right to remotely send a signal via the Secure Operations Centre to immobilise the vehicle. When the vehicles ignition is turned off, it won’t restart with the turn of the key. The Police will then be on their way to recover the vehicle. We also offer Fleet Trackers, so if you need to monitor your fleet of vehicles give us a call. Once you have purchased the unit and it is fitted, the subscription for monitoring and report building works out at about 27p per day. If you have any queries about security for your vehicle, please click the button below to contact us. Source Sounds recently completed a stealth boot install in my Octavia, along with new front speakers and some additional little tweaks. The work they have done has been immaculate. You would never know the anything had changed, until the music starts that is. The improvement is immense. I just want to take my car for drives, just to listen to things. I highly recommend Source Sounds. Excellent work, very helpful and knowledgeable staff and excellent aftercare and support. I wouldn’t go anywhere else for my ICE needs.